Are you planning to visit Charlotte on business or holiday? Book our Charlotte VIP Transportation Services to make your trip a successful and memorable one. Affordable Towncar Service offers excellent pick-up and drop-off service at affordable rates anywhere in the Charlotte. With our friendly and professional chauffeurs and top-of-the-range vehicles, we promise to offer you high quality, affordable and convenient Charlotte VIP transportation services. You will enjoy a stylish and comfortable ride in a Mercedes-Benz, a BMW, an Audi or other luxury cars. Our friendly chauffeurs work 24 hours a day, seven days a week. Therefore, they are always ready to pick you up anytime in Charlotte. One of our dedicated chauffeurs will be waiting for you. Once you arrive in Charlotte, the driver will take you to your meeting place, hotel, or downtown Charlotte. Rest assured that our reliable Charlotte VIP Transportation Services will get you to your destination on time. Over the years, we have built a great reputation for providing high quality and affordable limousine service and VIP airport transportation from Charlotte Douglas International Airport. We will offer you the best VIP transportation service on your arrival at Charlotte International Airport. Our courteous chauffeur will hold a placard with your name and our company logo on it while waiting to pick you up at the arrivals hall. Once you arrive and locate the driver, he or she will introduce himself or herself and then guide you to a luxury car. We always strive to make proper preparations for your Charlotte VIP transportation to avoid inconveniences. Therefore, you should give us your flight details when you book our airport VIP transportation service. At Affordable Towncar Service, we understand that you may arrive early or late. Don’t worry because we will be tracking your flight. Our chauffeur will wait for you at the arrivals area. You will not carry your luggage to the vehicle. Our driver will help you with it. We want you to relax and enjoy the ride. We can take you to the outskirts of the city or Downtown Charlotte. There are no limits to the places you want us to take you. You will know the cost of the ride before booking, and there’ll be no waiting around because our Charlotte VIP Transportation Services are pre-booked at a fixed rate. We will plan a convenient, safe and affordable VIP transportation service for you. We’re ready to go; just tell us where to be. We highly recommend our clients to book our Charlotte VIP Transportation Services in advance. You can book your ride on our website or via our easy-to-use smartphone app. Checking out car services ahead of time is essential. 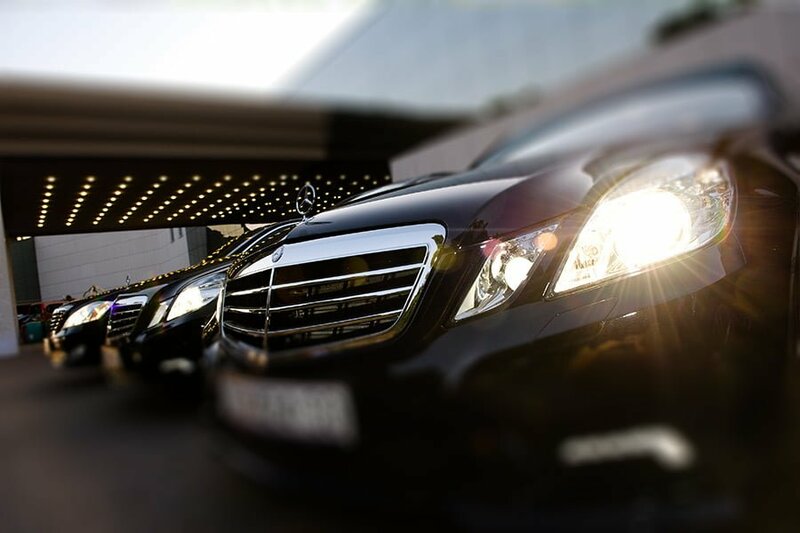 You want to ensure that a VIP transportation service you pick meets your needs. Avoid a car service that can’t cater to all your needs. Choose a flexible VIP transportation service that can offer a wide range of vehicle solutions for your Charlotte ground transportation needs. Hire a reliable, on-time service that caters to your tight schedule every time. A reliable company should have customer service agents and reservation agents available around the clock every day to address your scheduling needs. You should feel secure with Charlotte VIP Transportation Services you choose. Safety and confidentiality are primary considerations when choosing a VIP transportation service. You want chauffeurs who are more than just drivers. Chauffeurs who undergo thorough training and background checks are courteous and professional. Work with a company that has clean luxury vehicles that are well-maintained to the highest quality standards. It is essential to choose a company that has vast experience in the industry. You want an experienced chauffeur with excellent navigation skills and familiar with the efficient routes to and from your destinations. A chauffeur with vast local knowledge will avoid constructions delays and traffic. Go for an option of mobile technology. If you want to stay productive on the road, then you need Charlotte VIP Transportation Services that offers the best on the go technology. Remember that every minute counts. Therefore, a reliable and convenient VIP ground transportation service is the best choice. Hire a company that offers exceptional customer service. Their customer service should be courteous and attentive at every level, from their reservation agents to their chauffeurs and everyone else in between. Their well-trained chauffeurs should have etiquette and excellent customer service. At Affordable Towncar Service, we understand that our clients want more than efficient in Charlotte VIP transportation services – they want superior. We’ll tailor our VIP transportation service to suit your needs. Call us today at (704) 906-9010 to book your ride. For any inquiry, fill out our contact form.